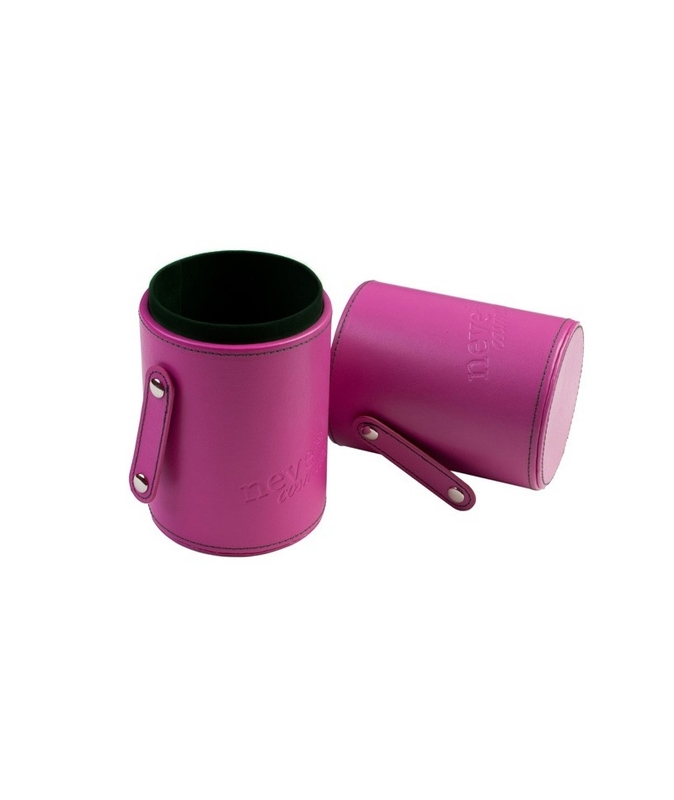 Cylindrical brush holder for make up brushes. 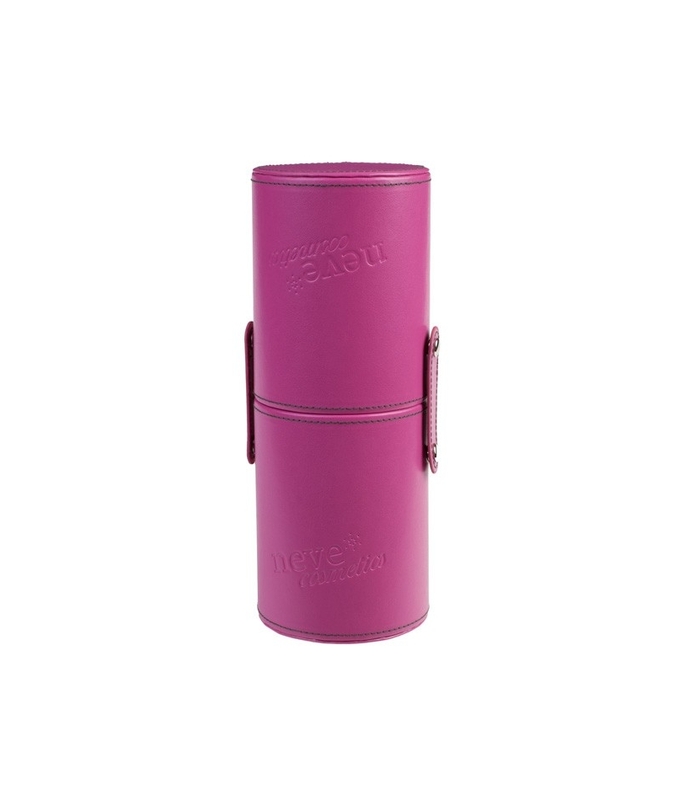 Cyclamen fuchsia cylindrical brush case in an exclusive Neve Cosmetics design, created to hold makeup brushes, adding style and vivacity to your makeup table. It is ideal for putting away and transporting your brushes in a way that is practical, fast, and professional. The outside is made from durable, cruelty-free, vegan fabric. 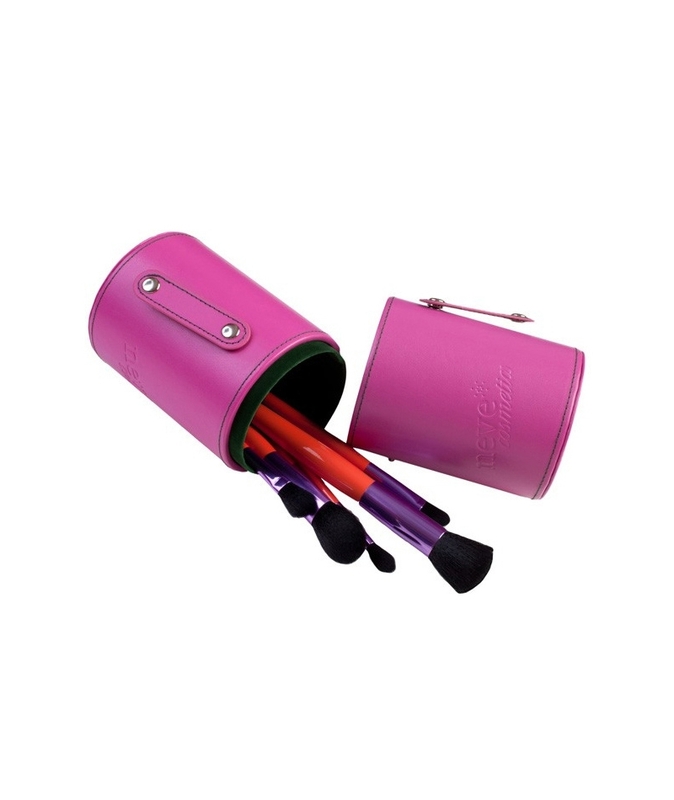 The inside is lined with a soft, velvety fabric to protect your brushes from accidental scratches and knocks. Side fasteners with metallic press studs make sure the case stays closed during transportation. Dimensions: total length 23.8 cm, diameter 9.5 cm. The brush case comes empty.